Every investor wants to create huge wealth by taking best investment decisions. But sometimes decisions taken to create wealth become responsible for destruction of wealth itself. Generally investors are unaware of Break even rate of return which is minimum return to catch up with inflation and meeting out tax responsibilities. At break even rate of return, an investor is neither creating nor destroying his wealth. Any return above break even return is the net return which is going to create wealth for an investor. Investment could be made in financial instruments like fixed deposits in banks and corporate or debt instrument like bonds and debentures. These investments are generally made to get periodic return in the form of interest and original capital is returned on maturity. A large portion of return earned on these instruments is eaten by inflation. Wealth Creation is also possible with Investment in Precious metal Like Gold, Silver, which has appreciated sharply in past. But this investment does not provide any periodic return. Real estate is also an attractive asset class for wealth creation. But this requires not only large amount of capital but also specialized knowledge about property business. Investor should not invest his hard earned money without understanding risk and return of proposals. Now question arise which assets should we choose for investment. There is no direct answer to this question because each type of investment has some advantages and some disadvantages. It depends on the needs and situation of an investor that which asset class is suitable for him. Investor must consult his finance advisor before investing. Interest rate is the rate at which interest is charged by lender from borrower for using money for a given period of time. For example interest rate on FD is 7% p.a. Government may control interest rate in market by changing monetary policy. Inflation rate is the rate of increase in price of goods and services over a period of time in an economy. Inflation rate is controlled by demand and supply of goods and services in the market. When demand of goods & Services increases without much increase in supply then Prices will go up. When demand of goods & services decreases without cut in supply then Price will decrease. On the basis of prevailing market conditions, Government tries to balance the inflation rate by bringing changes in interest rate and monetary policy. If interest rates are decreased then money/loan will be available on easy rate to public. Increase in borrowing will increase money available for spend with consumer. If more money is available to spend then demand will rise without much increase in supply. An increase in demand over supply will result in increase in prices and Inflation rate will be higher. If interest rates are increased, it will make people cautious to borrow less and save more. Due to this, demand will decrease without any cut in supply. This will result in sustaining or reduction in prices. Hence inflation rate will be lesser. Hence relation between Interest rate of consumer loan and Inflation is negative. However inflation has positive relation with interest rate on producer loan. Hence inflation rate may be controlled by bringing bringing change in demand & supply through change in monetary policy. Assume you invest Rs. 100000/- in an FDR on interest rate of 7%. Then you earn Rs. 7000 in one year as interest. Now assume inflation rate of 5% (it means price of consumer goods has been increased by 5% during the year). Due to inflation, now we have to pay Rs. 105000/- for the goods which was available at Rs. 100000/- one year before. So net increase in purchasing power , is only Rs. 2000/- (107000-105000). Now assume you are in 20% tax bracket then you have to pay 20% of interest amount Rs. 7000 /- as income tax. 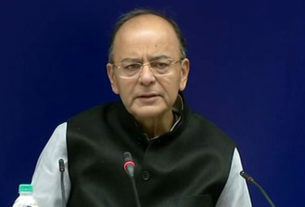 Tax burden on interest amount comes to Rs. 1400/- (20% of 7000). Hence now net increase in your purchasing power is Rs. 600/-(2000-1400). Hence rate of return of your investment in FDR is 0.6% only. In short, if your money increases @ 7% and inflation is 5% then net increase in your wealth is only 2% before considering income tax. Now it is worth mentioning that income tax is chargeable on your earning without adjustment of inflation. Hence if tax rate is 20% then 20% of 7 i.e. 1.40% of your investment is paid to government as tax. Hence Net rate of return which is available to increase your wealth is only 2% – 1.40% =0.6%. What is Break even Rate of Return? Break even rate of return is the rate at which an investor in neither creating nor destroying his wealth. If an investor is earning a return which is below break even rate of return, then he is actually destroying his wealth. Any return above break even rate is the only addition in the wealth of an investor. Break even rate of return is that minimum rate of return which is necessary to earn to catch up with inflation and tax liability. If inflation rate is 7% and tax rate applicable to Mr. X in respect of Investment Proposal is 30% then find out break even rate of return for Mr. X. Hence If Mr. X get 10% then he will be at break even because increase in prices is 7% and tax payable is 3%(30% of 10). If Mr. X get any return more than 10% then it will add to the wealth of Mr. X. Inflation is not always bad. For healthy economic conditions, inflation is must. Take example of an economy with nil or negative inflation rate. It means prices are not increasing at all or prices are reducing. It further means that demand is decreasing in economy. Then there will be no reason to set up new factories for production if there is no demand. There will not be any industrial growth which is very bad sign for economy. If there is inflation, if means demand is higher than supply , and demand is increasing and supply is also required to be increased to meet the demand. This situation motivates to set up new plant, factory or industry to increase the supply. Hence Inflation is reason behind industrial growth. There are two method of creating wealth through Stock market, Trading & Investing. Trading is basically purchasing a share at low price and selling it at high price without considering industry, company or fundamental of companies. Movement of price is the only criteria for purchase and sale of share. Decision of purchase or sale of a share is generally taken on the basis of movement of the share on technical chart. Trading could be intraday, or holding over the next few days, weeks or months. Thus by rotating their wealth many times in different shares, traders try to book as much profit as they can. Generally Trader has very limited capital, which is used as margin for high value trading. This way of wealth creation is very risky. Profits of trading activities are taxable under the head “Profits and Gains of Business & Profession”. Investing is the other way in for wealth creation through stock market. An investor does research about fundamentals of company, industry and risk associated with it, before investing in any stock. He does not react to short term movement or price. Technical chart is not for Investor as an Investor is not intended to withdraw money on short term movement of price. Investors generally keep their money invested for long period. Short term capital gain is taxable @15% and long term capital gain above Rs. 1 lac is made taxable @10% in Finance Budget 2018. Concentrate on business which is easily understood by investor, this will make it easy for the investor to understand favorable and unfavorable conditions for the business and risk associated with it. Look the business where you can see future for at least ten years. After selection of business, look for a company within selected industry which has management caliber, competitive advantages and potential to grow at above industry growth rate. Search about management depth, integrity, ability to adapt the change and the way it treats its employees, suppliers and customers. Develop a methodology for stock selection and stick to it. Work hard in research before entering into a position because profit is simply difference between entry price and exit price. While exit price is in the control of various factors affecting it, entry price is fully under control of an investor. If a share in selected on the basis of fundamentals, temporary fall in price should not affect your decision. Study at least three years financial result. Study fundamentals like PE Ratio, EPS, Return on Capital Employed, Return on Equity, Growth rate of earning, Price book ratio etc. There are many pricing models for shares like Dividend pricing model, earning pricing model etc. Choose the appropriate model and calculate fair price of share. Look for consistent performance because one year performance could be accidental or managed. Buying a good stock is not enough, Review your portfolio on periodic basis and take necessary steps if fundamental alert is there. Analyze average rate of return provided by share over a period of time but remember past performance is not a guarantee for future performance.